Remo starring Sivakarthikeyan & Keerthy Suresh in lead roles has been receiving a lot of attention, especially after revealing the female get up of Sivakarthikeyan at the First look launch. Directed by Bhagyaraj Kannan, the good news is the shooting of the movie is wrapped today. 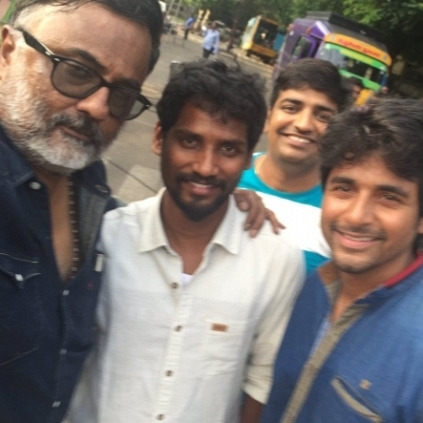 Remo's Cinematographer PC Sreeram tweeted "A memorable journey. Thank u Siva baggi ,satish & crew.This Romantic comedy will hit the screen on Oct 7." With Anirudh's peppy title track well received, October 7th is going to be a big day for all Sivakarthikeyan and Anirudh fans! Sirappu - the next Magizhchi!! Will Mammootty get another National Award? People looking for online information on Keerthy Suresh, Remo, Sivakarthikeyan will find this news story useful.